Here I'll be reviewing the Balhyo-Mibaek Healing Mask from Bidanpo Korea which helps to Brighten and Improve dull complexions. A whitening mask pack providing your skin with shine and vitality and brightens your complexion with doctors' secret method 'Mibaeck Cheongjeongdan', fermenting and maturing 12 precious medicinal herbs in a bamboo bucket for those of you having worries of cull skin resulting from blemishes or freckles. 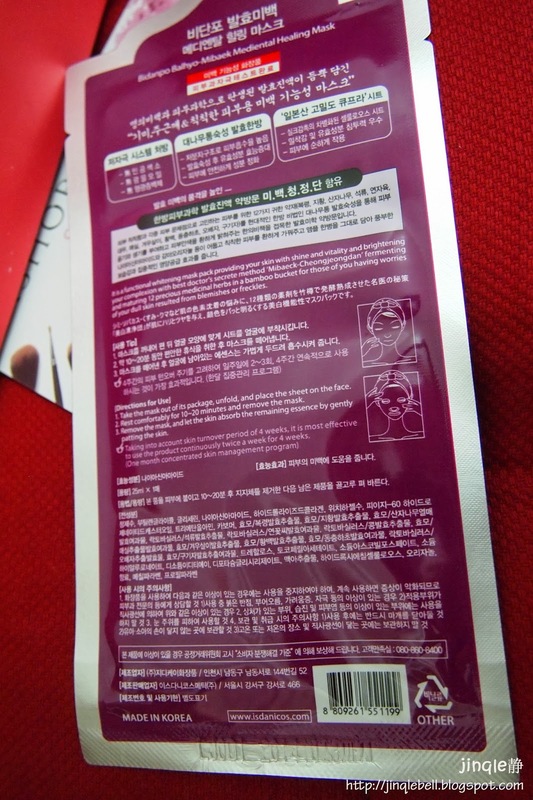 The packaging is like other masks, covered in purple tone and of course, full of Koreans. 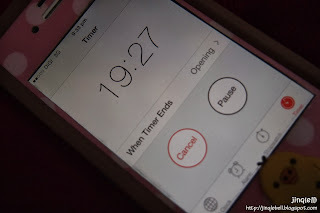 However, being user friendly, there is also some explanation in English language. Removing the mask from it's 25ml packaging, what surprised me is there are no residue left in the packaging. 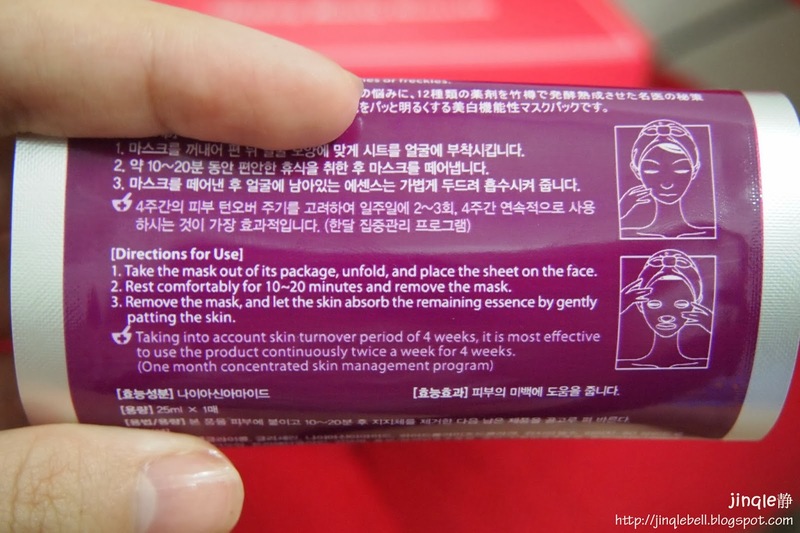 Means all 25ml of essence is soaked in the mask, to be apply to the face! Worth for money I can say? The mask sheet is soft and is a little brown/ cream in color. I assume the color is cause by the herbal and fermentation. Smell wise, it is a little strong, like those of fermentated smell, or a little bit of chemical from hair saloon smell. Direction of use is like all other masks. 1. Cleanse your face with proper facial cleanser. 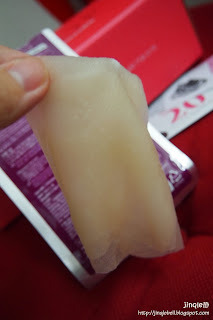 Mine is from Biotherm. 2. Prep the face with your favorite toner. 3. Apple the sheet mask on, set you timer to a 10-20minutes. 4. Remove the mask sheet when time is up, gently pat the remaining so it is absorbed into the skin. 5. Resume your skincare regime. I don't see any immediate result after using the mask. However, I believe the mask is not designed to use for short term, as skin needs about a month of treatment time to gain changes. Next day morning after using the mask, I noticed my face has got it brightness back. I believe it is a positive result from the mask overnight. 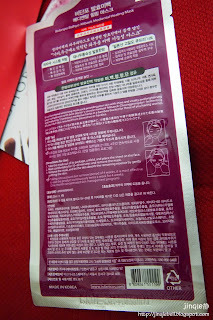 Bidanpo Mediental Masks is priced at RM11.90 per pcs. Packs of 5 or 10 pcs are also available in HiShop.my . 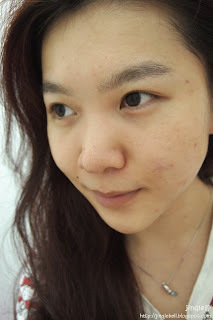 There are also others that is designed for different skin concern. For a combination of all, HiShop.my are having sets of 5 or 10 different masks as option. Exclusive RM20 for my readers! 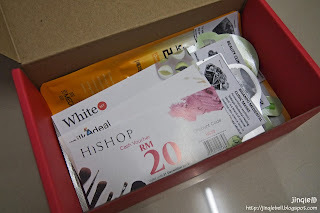 Type in HSMASK when checking out from HiShop.my with minimum purchase of RM99. (Valid until 31 October 2013) Act fast! 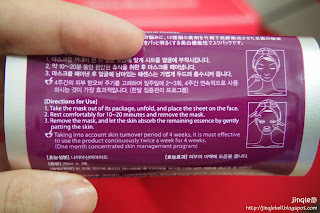 Stay tune for other masks review, will be posting it after my mid term exam. 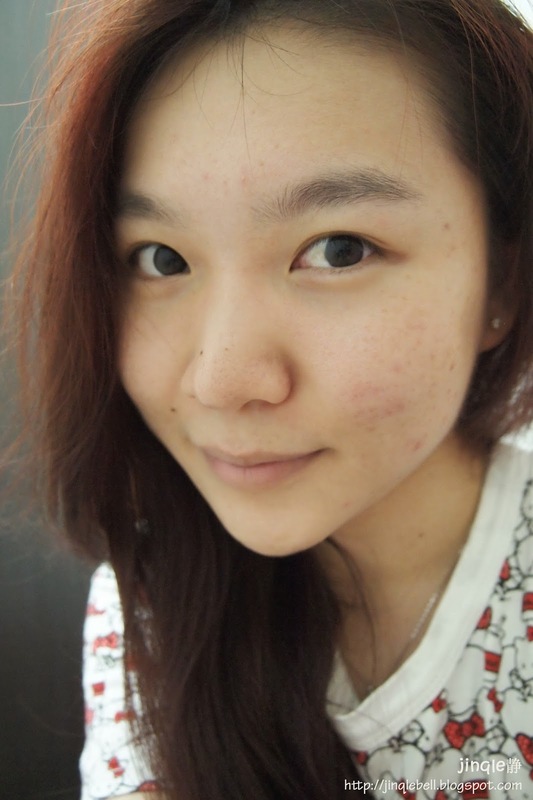 BENEFITS: Brightening / Improving dull complexions.